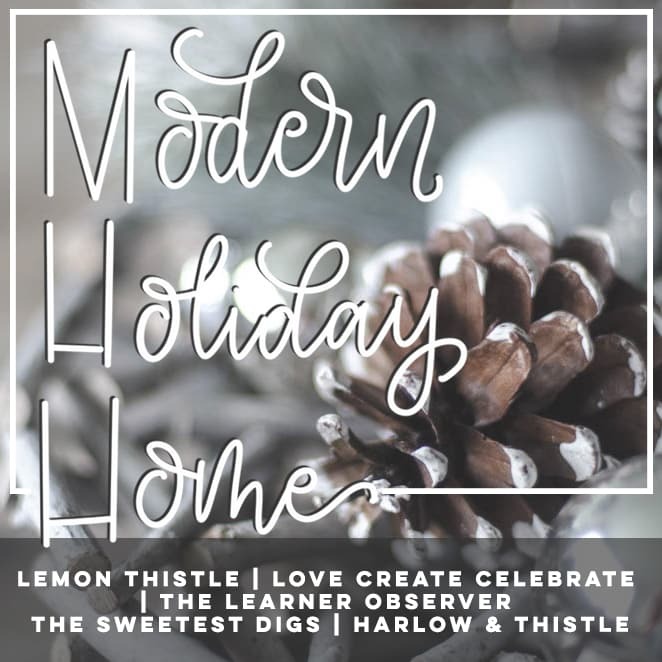 If you enjoy decorating, then you might be able to share some of the excitement I’ve been feeling this past week. Since we just moved into our new home, and I just finished the living room renovations (as in, two weeks ago! lol). 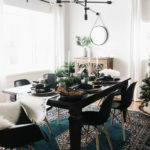 This is the first time I’m decorating in this new space! I’ve been so excited to pull everything out and see how I can make this space feel like home for the holidays! 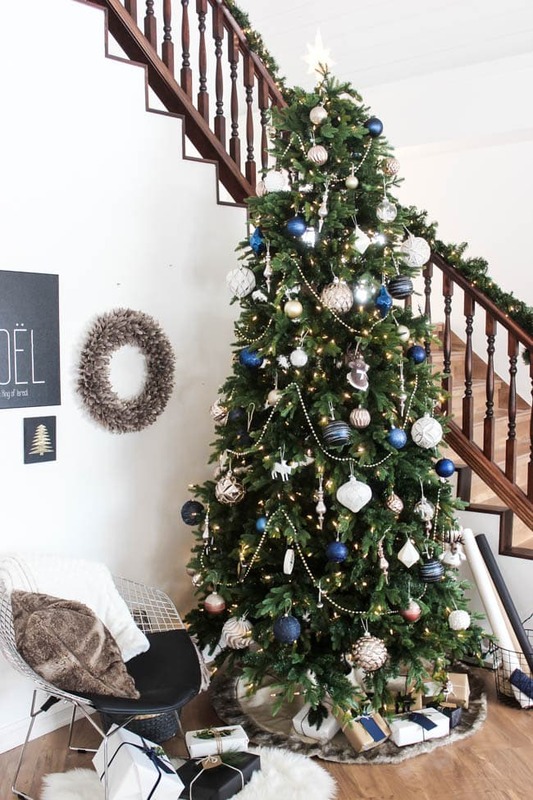 Since I’ve been concentrating on decorating the tree, I thought I’d share 5 quick and easy tips for creating your own perfect designer Christmas tree! 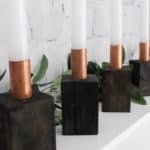 If you’ve missed the last couple of weeks, I’ve been joining some other fabulous bloggers to bring you our Modern Holiday Home series. 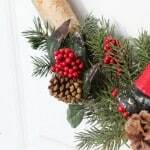 The last few weeks I’ve shared some great DIY projects, including a Gold Foil Christmas Sign, beautiful Advent Candlesticks, and some fun Mini Wreath Ornaments. 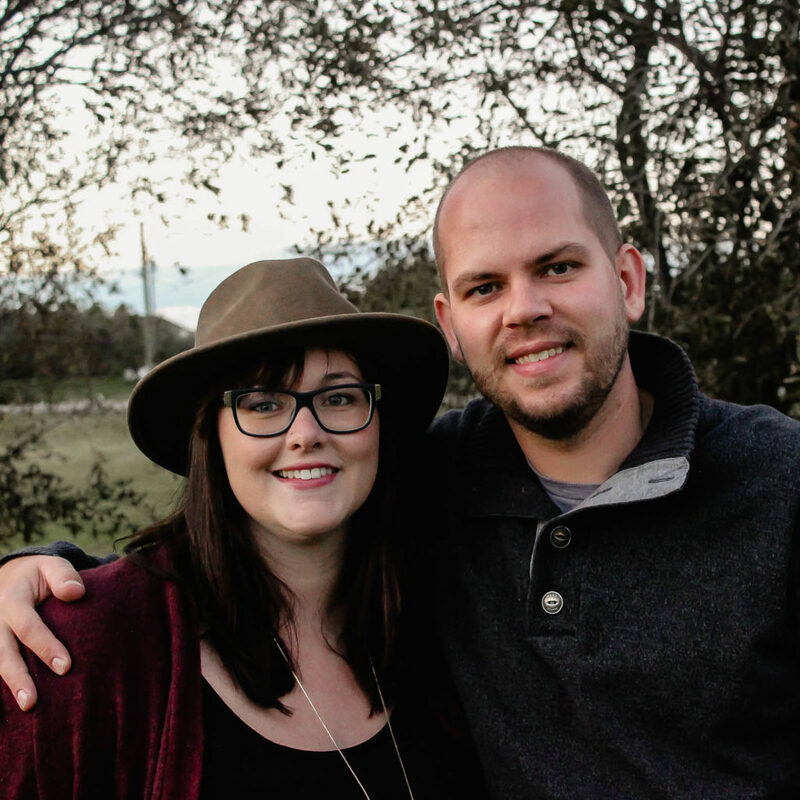 But this week I’m switching things up to share some insider secrets! 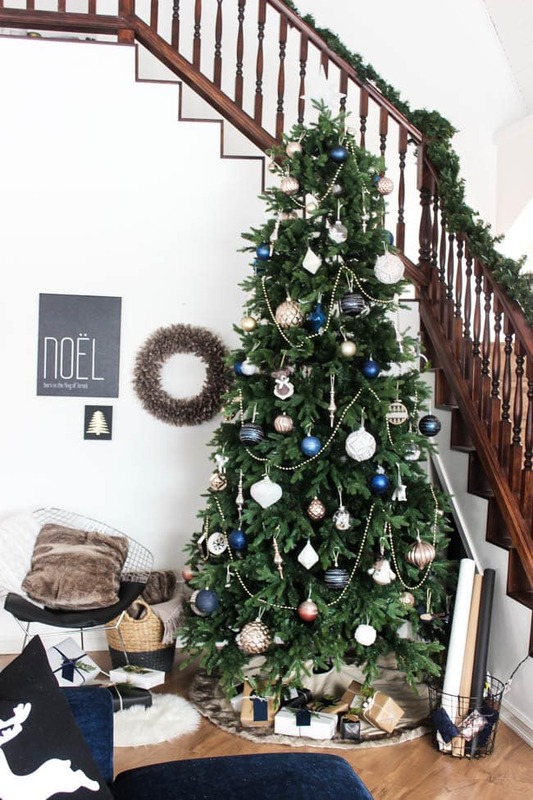 Decorating a tree that looks blog-worthy or magazine-worthy is not all that hard! This year we have a beautiful vaulted ceiling for the first time, and I was so excited to bring home a beautiful 9ft Sparkling Pine Tree! 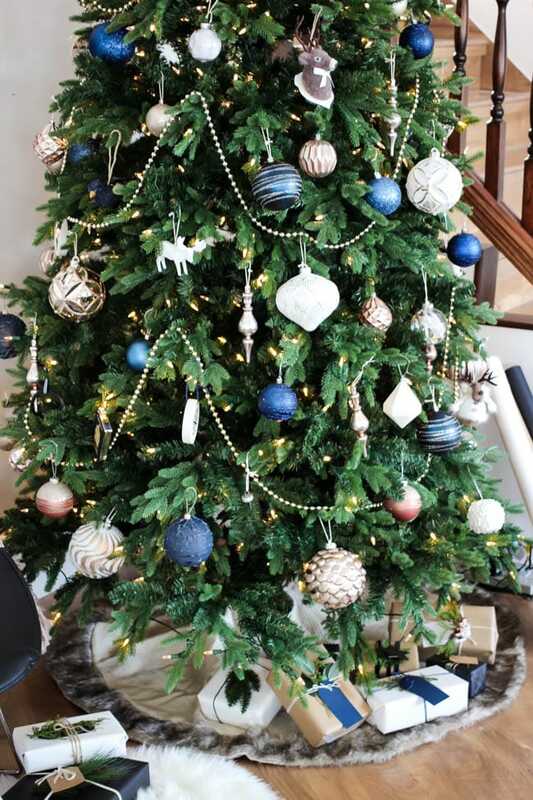 Although it did mean a lot more ornaments were needed to fill it up! lol. 1. Decide on a Colour Scheme – This is the fun part! Usually professional trees are cohesive in the colours they use. 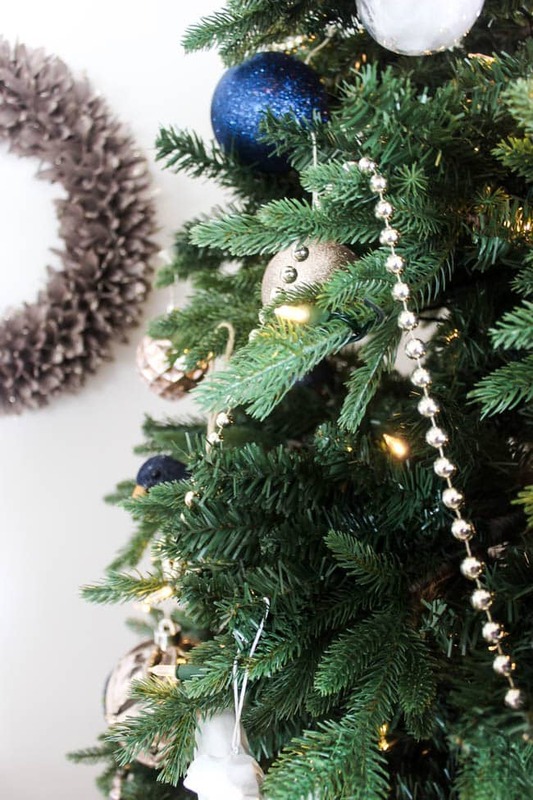 As soon as I saw the collection of Rose Gold Ornaments this year, I knew I wanted to incorporate them into my tree! I decided to go with a theme of navy, rose gold, and white. Of course a few other colours snuck in here and there, but overall it’s fairly cohesive. Other years, I’ve done the classic red, green and gold too! 2. 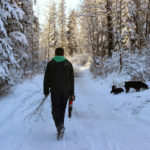 Fluff Up the Branches – I think this is the number one things that people forget to do, and it makes a HUGE difference. 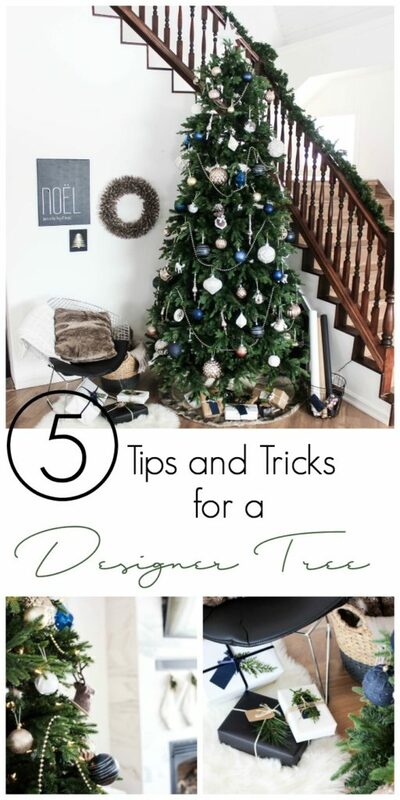 Go around individually and fluff out every one of those branches to fill up the tree! 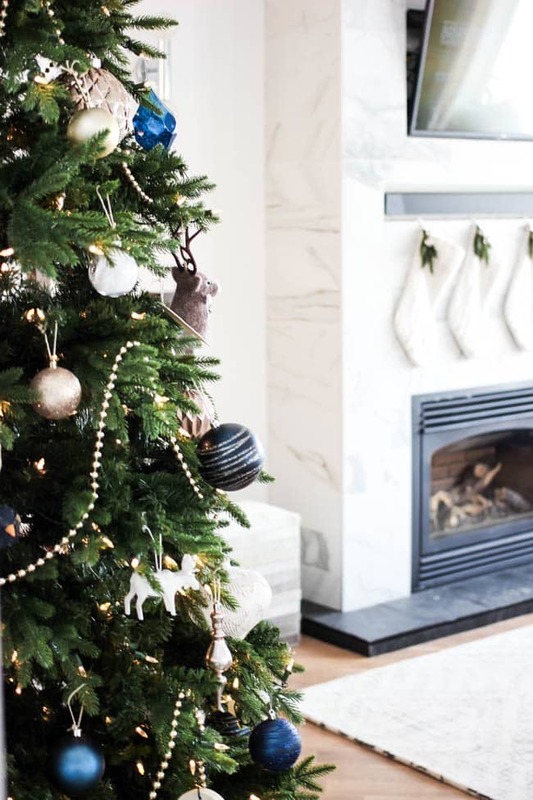 If there are still empty spots when you are done, for example, between two sections, you can buy a simple faux garland from the dollar store and wrap it around the middle – it fills up the tree perfectly! 3. 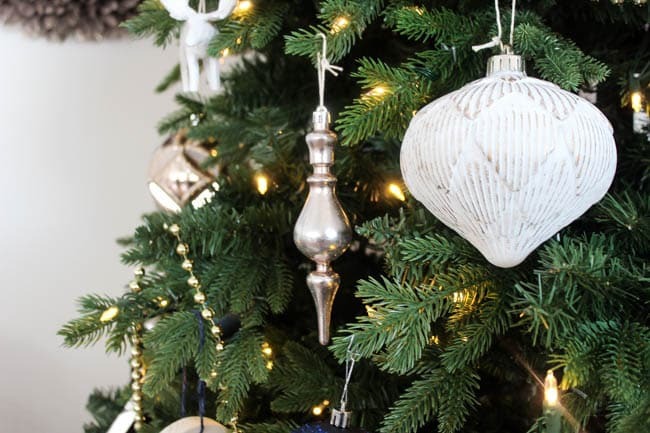 Don’t Forget About the Garland – A garland really helps to fill up a tree! Whether it’s a fabric, ribbon or beads. 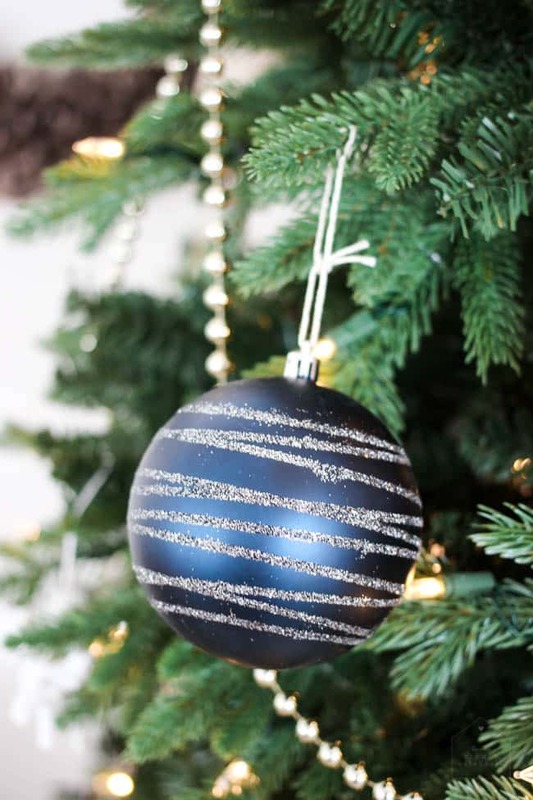 It adds a whole new texture, and something beautiful for the eye to follow as it’s gazing around the tree. My tip?? Fabric and ribbons look gorgeous, but can be complicated to twist and tie in the right spots. Beaded Garlands? Easy peasy! 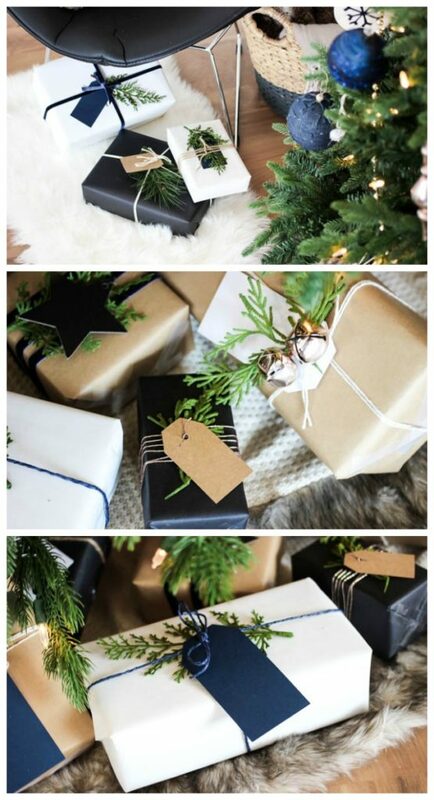 All you have to do is wrap them around and drop them off of various branches. So easy! 4. 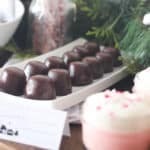 Use a Variety of Ornaments – I know we are all tempted to buy those huge packs of the same size and shape ornaments – hey, I probably need them with my giant 9ft tree – but variety is the spice of life! 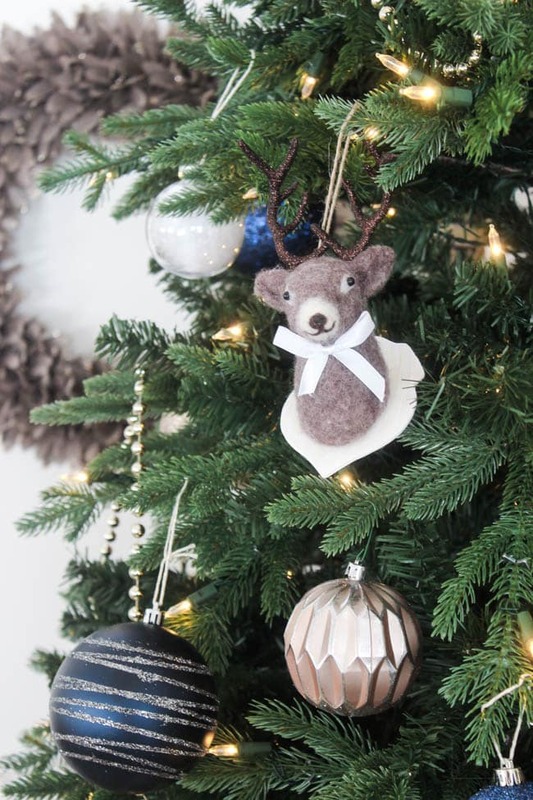 Grab ornaments of different sizes, shapes, and textures. 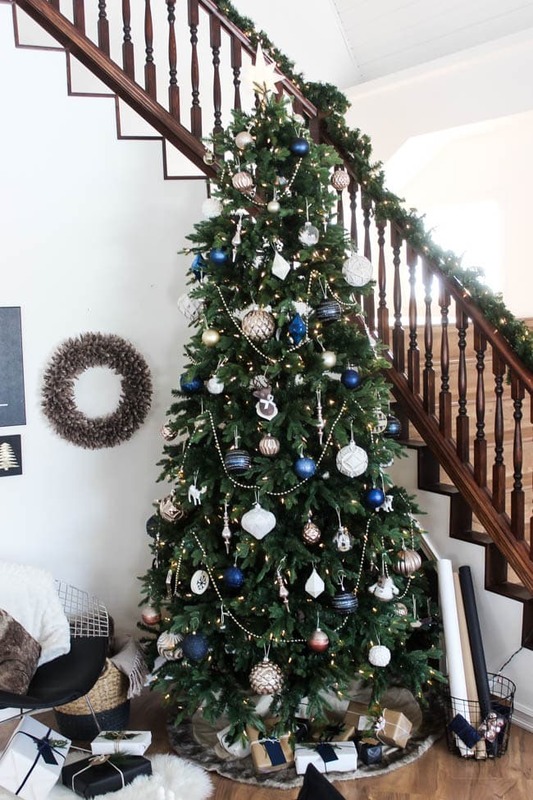 Buy a few really big ornaments to fill up the tree, buy some sleek finial ones, and grab some totally unique or meaningful ones. 5. 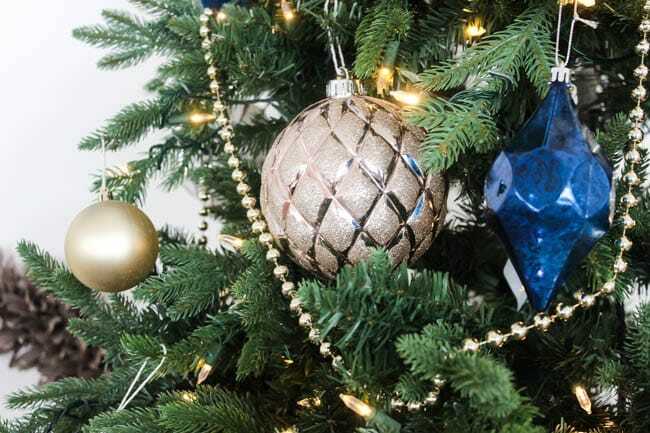 Coordinate Your Gift Wrap with Your Colour Scheme – Have you noticed that designer trees always have gifts underneath them? I always wrap some fake ones that sit under the tree for weeks, but I use the same paper when I wrap the real ones too! 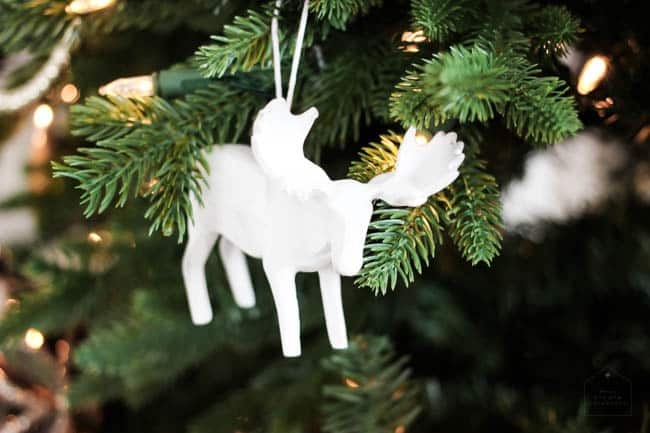 It instantly makes your tree look more professional. Plus, my kids love picking up the gifts and pretending they’re for “Daddy” or “Bunny”, lol. So you’re ready to tackle your own tree now! 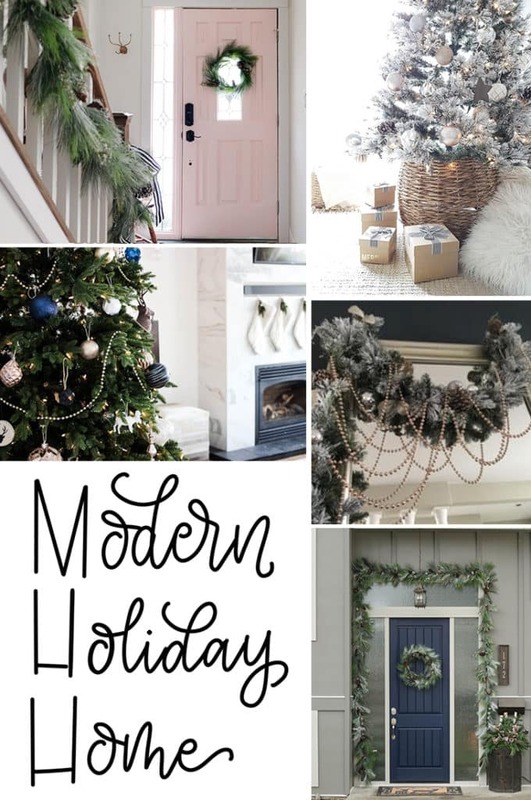 Don’t forget to check out these other great Modern Holiday Home ideas! 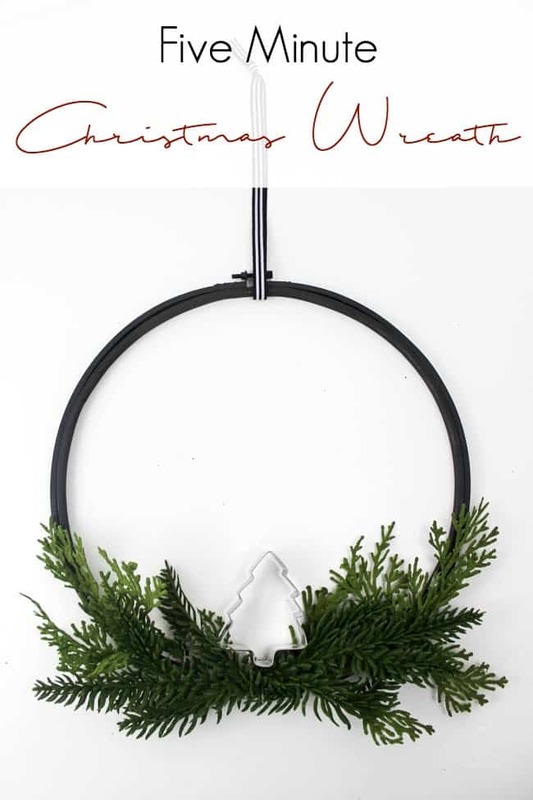 If you love these Modern Holiday Home projects, check out this Five Minute Christmas Wreath! That tree is stunning!!! 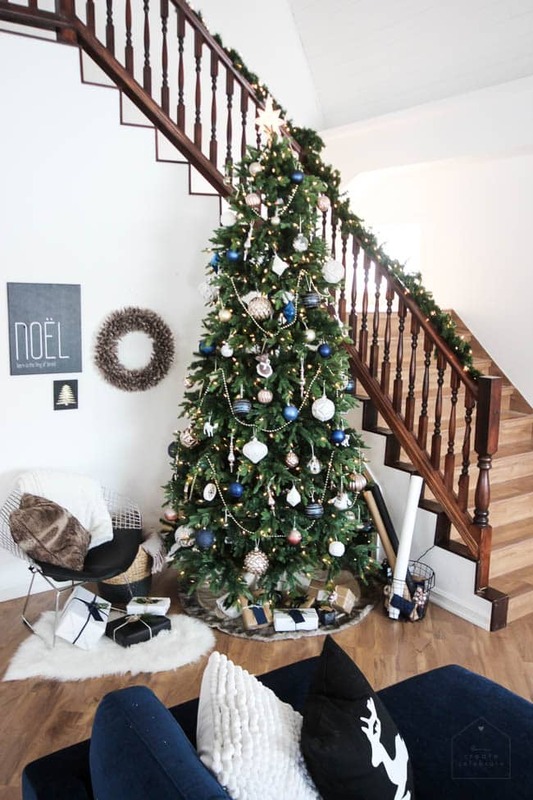 Love how you pulled the blue from your sofa into the tree decor. Love it! Thank you!! 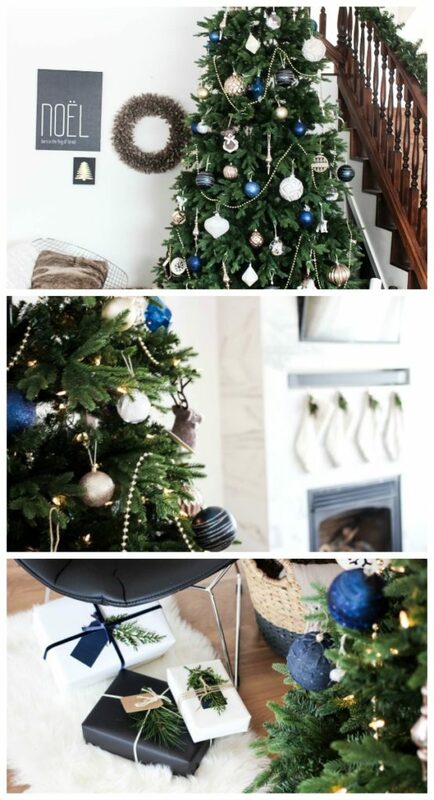 That was exactly my plan :) I figured if I loved the blue couch, I’d love a blue tree too! lol.